With a landslide of shining serving vessels, prep tools, tea ware and more in their wings, Avanti flies in to your kitchen to inspire your everyday cooking and dining. Every kitchen should have a strainer, better yet one that drains quickly and efficiently. 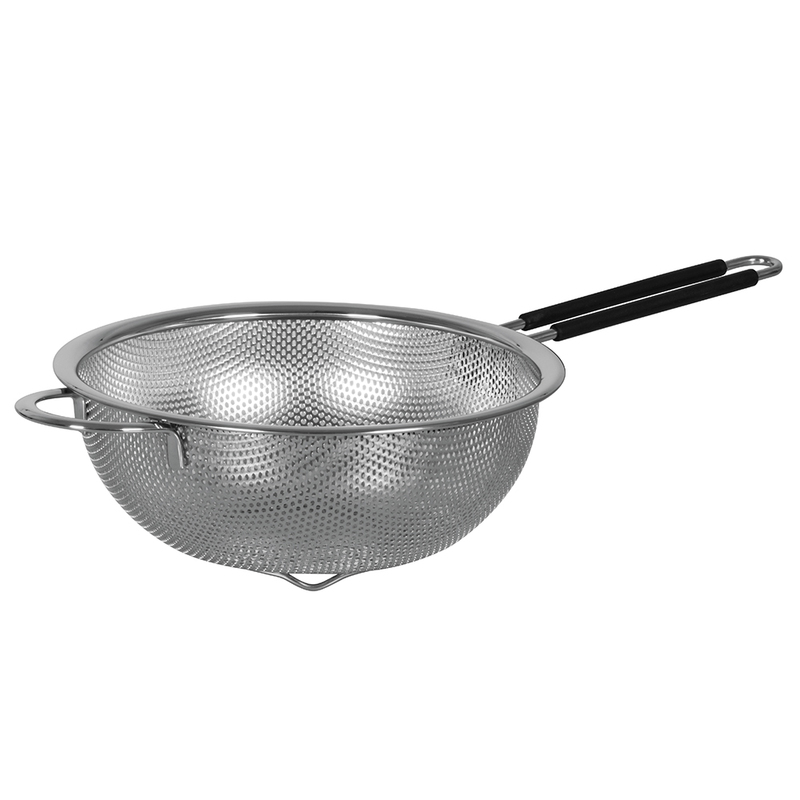 We are pleased to announce that Avanti's Perforated Colander is designed to do just that! Made from stainless steel, this robust kitchen tool features a perforated design that will have your pasta drained and vegetables rinsed in a blink of an eye. Its insulated handle provides comfort and a secure grip and the convenient footed base avoids a nasty avalanche of food spilling over your kitchen bench top and floor. Made from durable stainless steel. Boasts a perforated design for quick thorough draining.